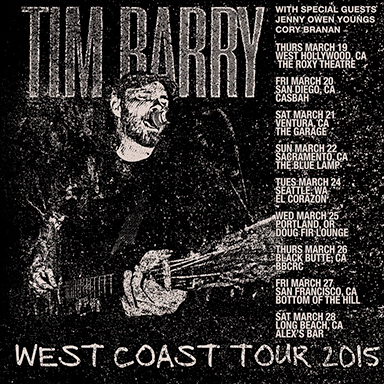 In March, Tim Barry came to Black Butte for his second boxcar show. 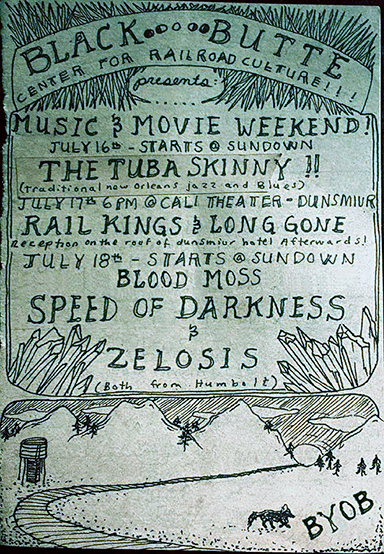 Flyer artwork by Trish Tripp. 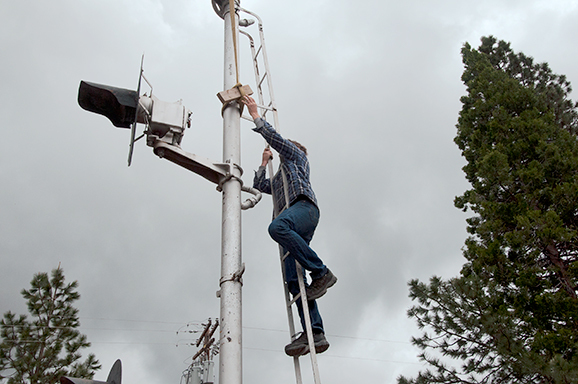 During the Spring Work Party we got two large searchlight signals mounted up and operating. 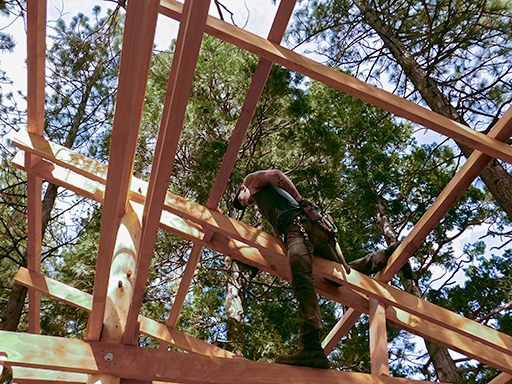 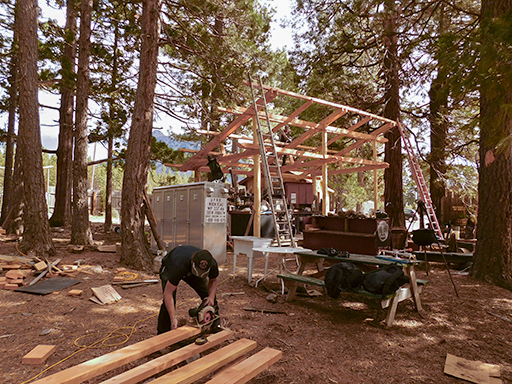 We kicked off a major outdoor kitchen upgrade with the construction of a permanent roof — built with wood milled by John Medaris, one of our board members and including pine poles from our land. 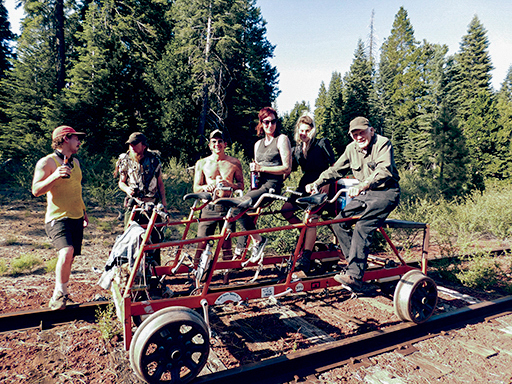 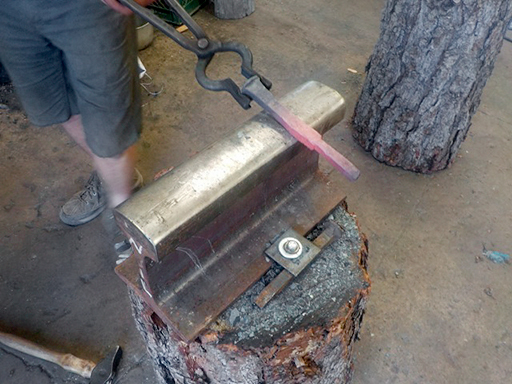 For our annual Railroad Days event in June, we took our railbike, the "Bindlestiff Express", out for a spin. 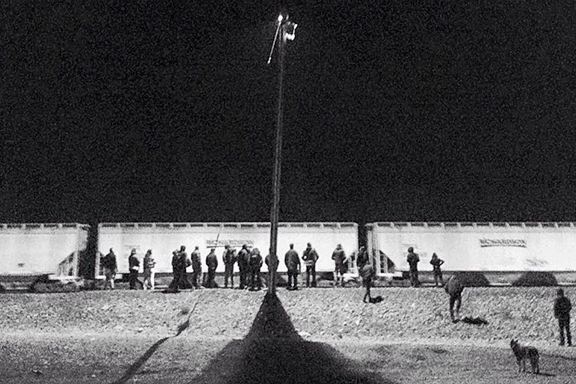 Guitar Whitey, who started riding freight trains in the Great Depression and was featuring in the PBS documentary "Riding the Rails", joined us for a ride. 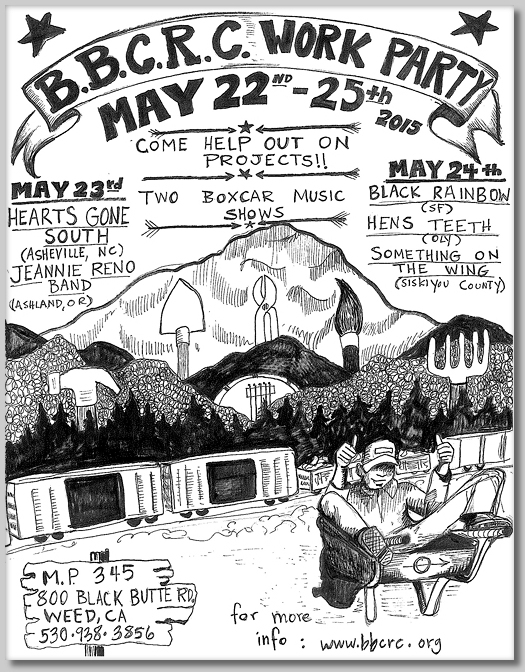 Dunsmuir re-instated its Railroad Days festival in 2015 and the BBCRC again participated in the parade, winning a prize for the best Railroad-themed float. 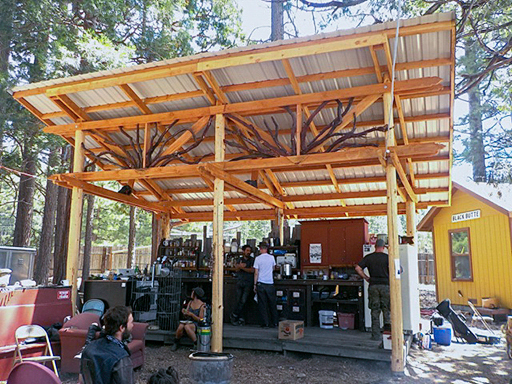 After getting the basic framing done in May, we added the metal roof onto our outdoor kitchen during Railroad Days. 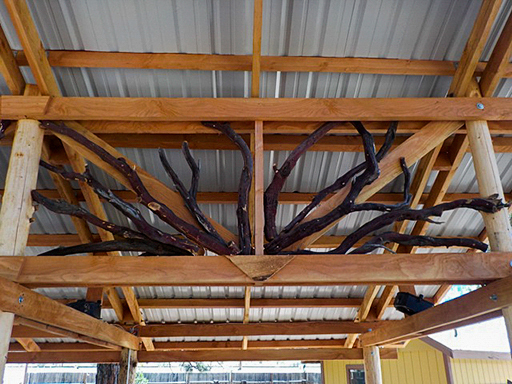 Manzanita adornment to the outdoor kitchen. 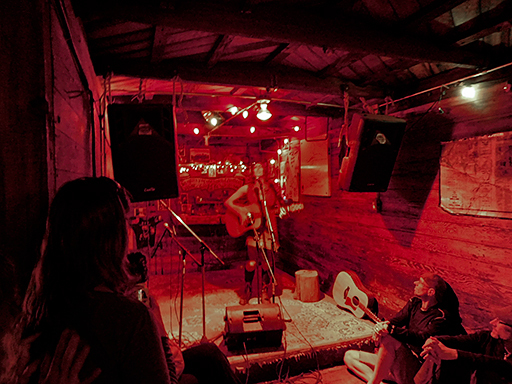 An acoustic boxcar music show for RR Days included Matt "Pond Scum" Michaels, the BBCRC's own Lauren Oakes, and then Rosie and her partner playing gypsy ballads from Eastern Europe. 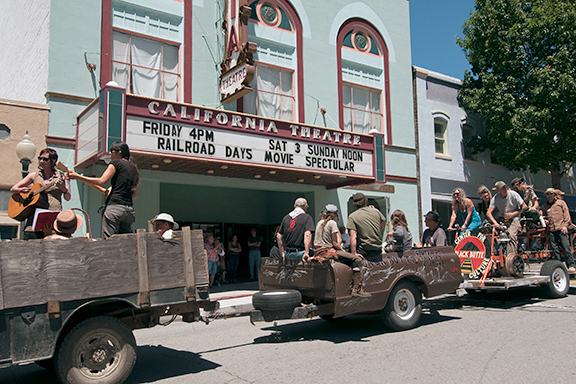 In mid-July the BBCRC put on a four-day event which attracted a good crowd — including a film night in collaboration with the historic California Theatre in Dunsmuir.